I recall numerous times as a child where I’d stand on the bank of a body of water and I’d collect as many of the smoothest and flattest rocks I could find and put them in my pocket. Then like any kid I’d take the rocks and sling them one by one across the water to see how many times I could skip it across the surface as well as how far I could reach. As I’d make each attempt, the rocks would touch down briefly and repeatedly upon the surface of the water as it moved along the path of its journey. 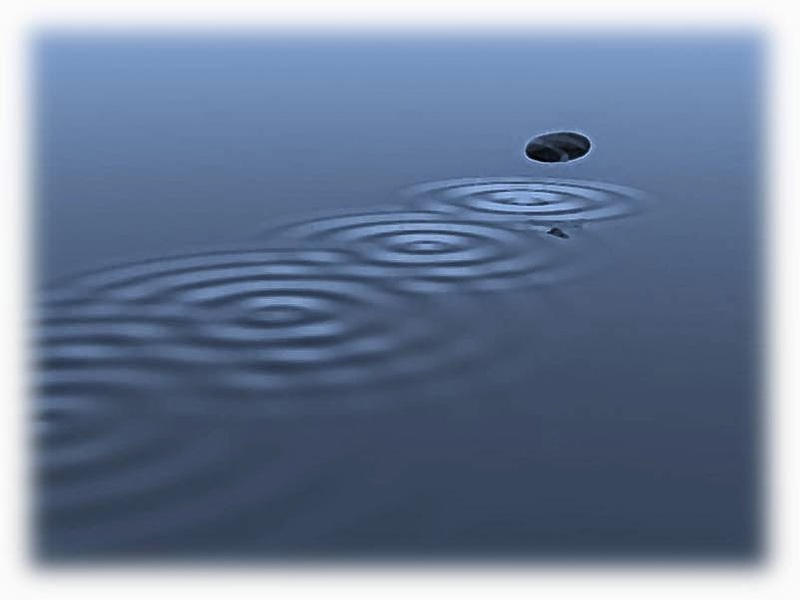 Each place it touched down it would create a ripple on the surface of the water and if I’d skipped it enough times, one ripple would eventually span out and connect to the next ripple in the water. Like a rock being moved in its trajectory and briefly touching down skipping across the water - we also have an impact on those around us. We also have multiple touch points as we come into contact with others and build relationships. I think God brought all of this to my mind because you and I need to understand that we so easily forget the tremendous impact we have on others whether in a positive - life giving way or a negative - life stifling way. So, let’s strive to impact others with only good things like love, encouragement, acts of service and more! We will be better people and grow more because of our humble dedication to God’s work while serving and impacting others! In turn, with our impact on them, prayerfully they’ll touch the lives of others. Go impact lives my friend because you are more than capable of doing so as you have much to offer and God is on your side! Help us me be responsible and purposeful in how I do interact with and impact those You've placed around me!